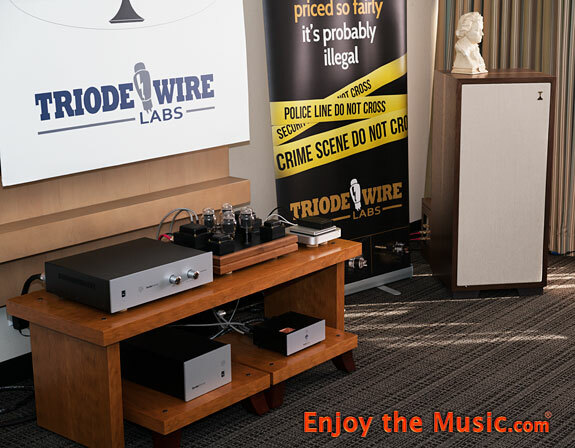 Triode Wire Labs was very pleased to be featuring our cable looms in THREE rooms at the Florida Audio Expo. We’ll were in Room 403 with BorderPatrol Tube Audio Electronics and Volti Audio. We had a new Innuos Zenith Mk. 3 server coupled to the controversial BorderPatrol DAC! We’ll also partnered with Tortuga Audio in Room 308 and in Room 416 with Hugh N. from Angel City Audio! Just seems like I just got back from the February Florida Audio Show and now I’m headed to Chicago for AXPONA! Here’s some feedback from Florida… Starting with Day 1 (Friday) Paul Elliott from Part Time Audiophile posted this.